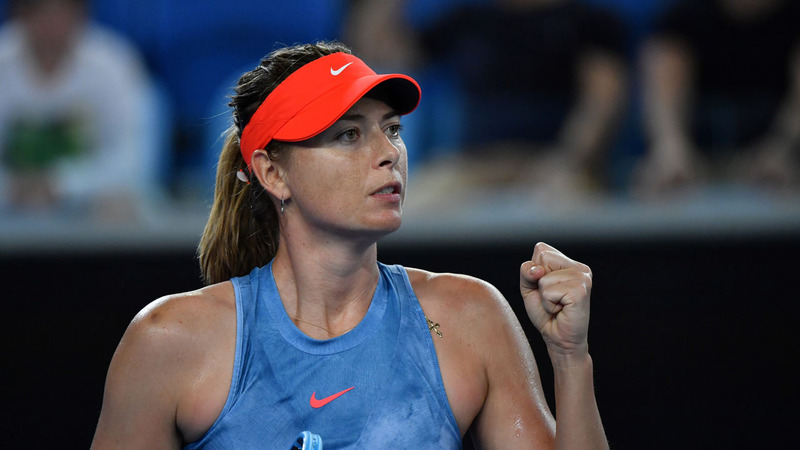 Maria Sharapova has declared herself the underdog in her blockbuster third round clash with Australian Open defending champion Caroline Wozniacki, despite having five Grand Slam titles to the Dane’s one. Sharapova has struggled since returning from a drugs ban in 2017 and is seeded 30th at the tournament, while Wozniacki is third seed after claiming her maiden major at Melbourne Park last year. But the 31-year-old Russian has been in sizzling form at this year’s tournament, showing glimpses of her ruthless best in dropping only three games in the first two rounds. Asked who was favourite for Friday’s match, Sharapova conceded she was the underdog. “Relatively speaking on paper, if you’re looking at numbers, yeah, absolutely,” she said. “She loves playing here, loves everything about this tournament. Certainly have a tough match ahead of me,” she added. Sharapova and Wozniacki have met 10 times, with the record 6-4 in the Russian’s favour. But their most recent clash was in 2015, when Sharapova was still at her peak and the Dane was yet to win her coveted maiden Slam, which she has credited with boosting her confidence. “We haven’t played each other in a long time. It’s tough to tell,” Sharapova said when asked to assess the match up. There is no love lost between the pair. Wozniacki questioned the way the WTA handled Sharapova’s return from a 15-month ban for failing a drugs test and was furious when she was bumped from the show court in favour of the Russian at the 2017 US Open. The Dane returned fire last year, saying she wanted to be an example for young players. “I’m very passionate about drug use because I’ve spent so many years fighting fair,” she said.